The industry has created a lot of buzz words around the topic of connected devices which are sometimes confusing. In this article, we’ll discuss the difference between the Internet of Things (IoT) the Industrial Internet of Things (IIoT) and Industry 4.0 (Industrie 4.0). Let’s start with the most generic term “Internet of Things” (IoT). In most cases, people use it to refer to some “Thing”, usually a device, which gets connected to the internet. This can be for example a smart light bulb like the Philips Hue which now got “smart”. This means, it is still just a light like we had it before, but instead of a single control element (turn it on or off by interrupting the power supply), these devices now are accessible programmatically via a so-called API (interface). This allows other devices or software to send it a command over the internet (or local network) to turn the light on or off. This first sounds like a pretty boring use case, but if you think it a little further in the direction of multiple connected devices it totally makes sense. Let me give you a simple use case which we’ve realized in our office. There are two devices involved: a smart light bulb and a smart weather station. The weather station constantly measures the carbon dioxide level in the office and once it reaches a certain level, the light changes it color to indicate that it’s time to open a window and let some fresh air in. So the Internet of Things usually means that we take some device, make it smart by adding a microcomputer to it and open the device via an interface (API) to either send out data or receive control instructions from others. If software, apps, cloud systems and devices are connected, it is also sometimes called the Internet of Everything. The term Internet of Things is actually generic, but most people use it to refer more to consumer solutions like the smart home. That is one reason why a more specific one has been introduced: The Industrial Internet of Things. Factories are full of sensors. A single robotic device can have hundreds of sensors collecting data. Now think how much data is generated of a full assembly line. Today these sensors are usually used to control the actual devices or lines and to report back serious errors. But when such an error occurs, it often means that something is broken and needs to be fixed right now. This leads to an interrupted assembly line and high downtime costs. But what if you could predict errors before they actually happen and fix those parts during a non-critical maintenance time window? With the high number of sensors and data, it would in most cases be possible to notice some small anomalies which point to an upcoming error. But to find those little anomalies, there is a lot of data to process and moreover, some serious machine learning technology is required. Most companies don’t have the knowledge nor the server capacities to realize that. With the rise of cloud technology, you can easily buy these kinds of systems from external providers like AWS or Azure. So the devices are now not only used internally but have a connection to the outside world as well. This is currently one of the big use cases for IIoT since it can be used in parallel to an existing setup. The critical production logic (PLC) is still being handled locally, but none time critical systems like big data analysis are executed in the cloud. All sensors just send their data into two independent ecosystems. A more advanced use case is adaptive assembly lines. Nowadays assembly lines are usually set to produce a specific product, like for example black shoes. To change this line to produce white shoes requires a stop of the production and reprogramming the whole line. With more customers demanding very individualized products, there is a requirement to change an assembly line during production for a very small amount of products, in the best case even for just a single piece. So imagine a scenario like this: A customer visits the online shop to buy shoes and decides for a red one. The web shop now directly communicates with the assembly line and just a couple minutes later, a pair of red shoes are being produced. All automatically and individualized for every customer. So what about Industry 4.0? Actually the term Industry 4.0 or “Industrie 4.0” has its roots in Germany and the meaning is pretty much the same as Industrial Internet of Things. It’s hard to understand why there are two different terms for the same thing, but it seems they just envolved in parallel. For quite some time Industry 4.0 was only known in the German-speaking world, but since Germany is the home base for mechanical engineering and industry automation it is today also known in other parts of the world. 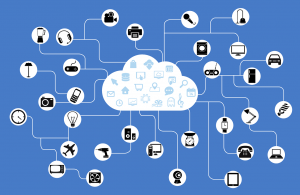 For Device Manufacturers: Make your IoT device cloud ready. Click here to learn more. Everything is about the vision of a connected world. Devices will talk to other devices, software or clouds to enable a huge potential. While the Internet of Things is a more generic term, most people refer to consumer applications. So it is necessary to have a dedicated term like the Industrial Internet of Things or Industry 4.0 to talk about industrial uses cases, which might be totally different from the consumer ones. It is important to understand that we already have connected devices in the industrial world, but the vision behind IIoT is to open these closed ecosystems to the IT / cloud world. 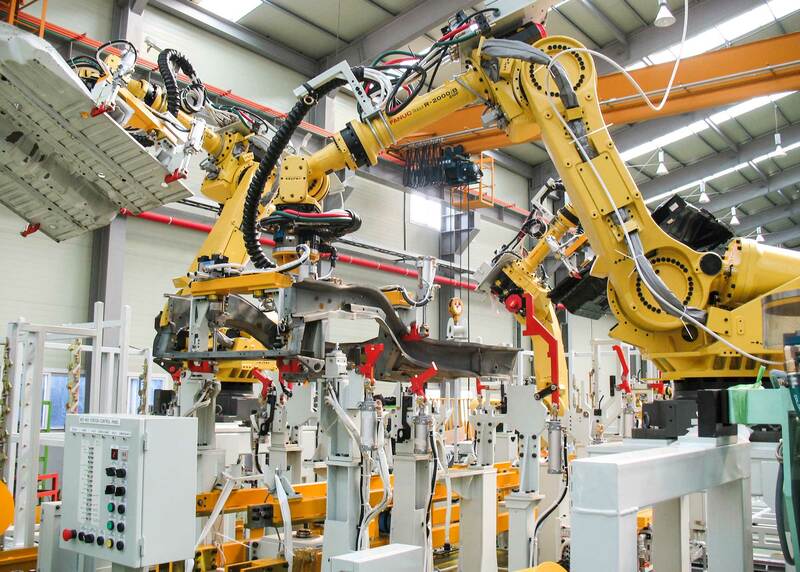 Now it’s the time for manufacturers of industrial automation systems to make their devices IIoT ready. Even if the uses cases for the Industrial Internet of Things seem limited today and especially mid-sized companies fear the loss of data, we need to prepare factories for the future – a fully connected world.